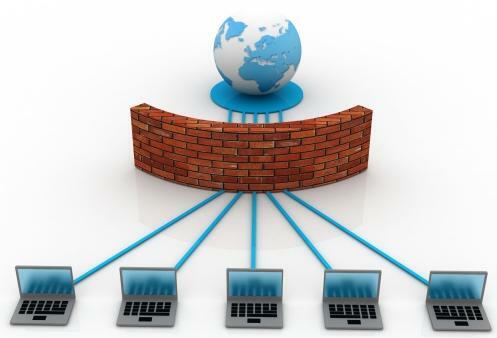 There are lots of freely available firewalls in the open source world, which provide enough features for basic network protection. Here are 8 worth checking out. There is a dark side of the internet which is full of hackers and spammers and you must protect your business networks by implementing reliable firewalls. The developer of security products and commercial firewalls are mostly built on an open source operating system like Linux, FreeBSD and OpenBSD. From tiny embedded security products to giant enterprise firewall all are using customized open source operating system as their base OS. There are dozens of open source firewall application available with community support. Here in this article, we’ve identified some most popular open source firewalls that can turned your commodity hardware into a full fledged Firewall system. IPCop is an Open Source Linux firewall distribution, It is a stable, secure, user-friendly and highly configurable Firewall management system. 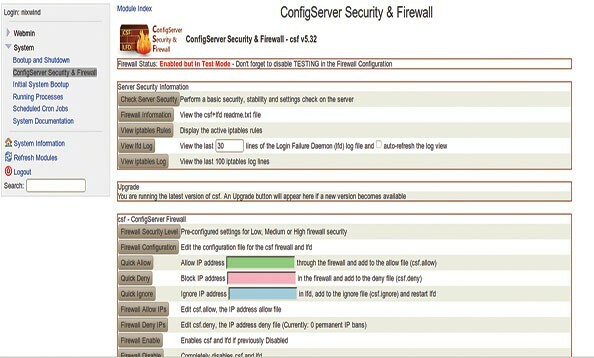 IPCop provides a well-designed web interface to manage the firewall. It’s very useful and good for Small businesses and Local PCs. It can turn your Old PC as a secure VPN to provide a secure environment over the internet. 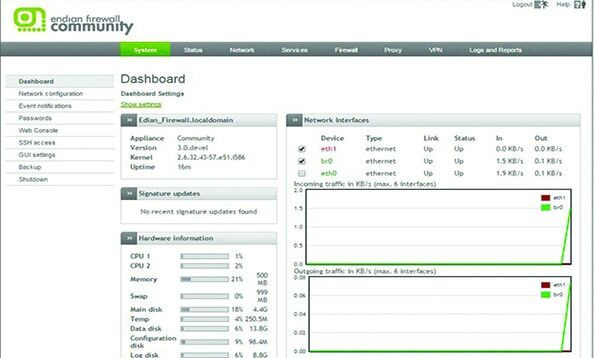 Monitor and show the performance Graphics for CPU, Memory, and Disk as well as Network throughput. Shorewall or Shoreline Firewall is another very popular Open source firewall specialized for GNU/Linux. 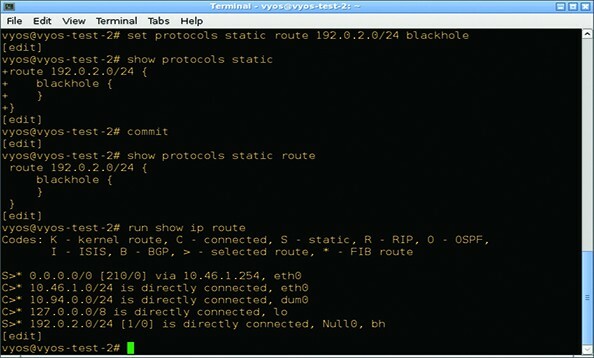 It is built upon the Netfilter system built into the Linux kernel that also supports IPV6. Tracking facilities for stateful packet filtering. Supports Masquerading, VPN, and port forwarding. Smoothwall Express is based on the Linux operating system. Smoothwall is configured via a web-based GUI and requires absolutely no knowledge of Linux to install or use. A freely distributable version of SmoothWall is knows as SmoothWall Express. pfSense is a very reliable firewall for FreeBSD servers. It’s based on the concept of Stateful Packet filtering. 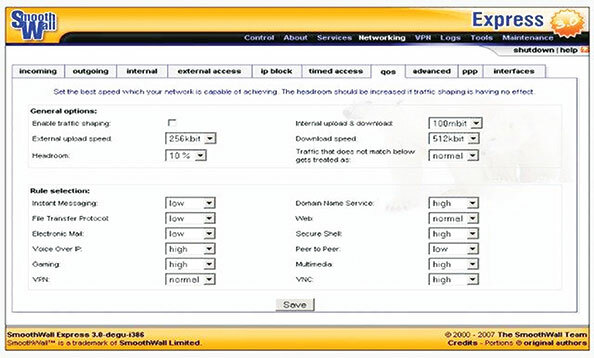 It offers wide ranges of feature which you might be found only in some expensive commercial firewalls only. 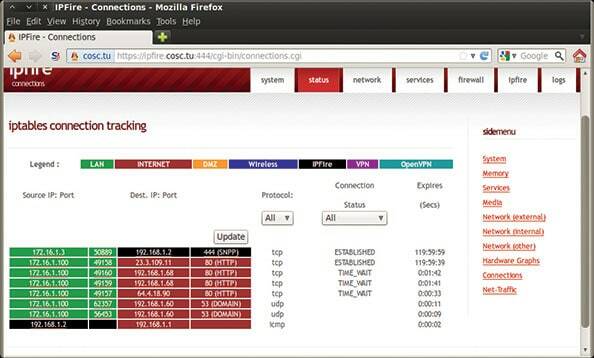 IPFire is another open source Linux based firewalls for Small Office, Home Office (SOHO) environments. It’s designed with modularity and highly flexibility. IPfire community also took care of Security and developed it as a Stateful Packet Inspection(SPI) firewall. Support hypervisors like KVM, VmWare, and Xen for Virtualization environment. Endian firewall is another Stateful packet Inspection concept based firewall which can be deployed as routers, proxy and Gateway VPN with OpenVPN. It’s originally developed from IPCop firewall which is also a fork of Smoothwall. Configserver security and firewall is a cross-platform and a very versatile Firewall, it’s also based on the concept of Stateful packet inspection (SPI) Firewall. It supports almost all Virtualization environments like Virtuozzo, OpenVZ, VMware, XEN, KVM and Virtualbox. Can be easily integrated with popular web hosting control panels like cPanel, DirectAdmin, and Webmin. VyOS is a community fork of Vyatta, a distribution discontinued in 2013. It is a network operating system that provides software-based network routing, firewall and VPN functionality. VyOS is based on Debian GNU/Linux and is completely free and open-source. Its features include the ability to run on both physical and virtual platforms, and support for paravirtual drivers and integration packages for virtual platforms. Web proxy with some URL filtering support (no HTTPS filtering) and more.